A long strip of soft white sand that gently leads to the shallow, transparent seabed in the crystal clear sea of Alghero. The Lido of San Giovanni, just a stone's throw from the old town centre of the Sardinian-Catalan city, will charm you with its large sandy shore, the edge of which is outlined by a row of palm trees. 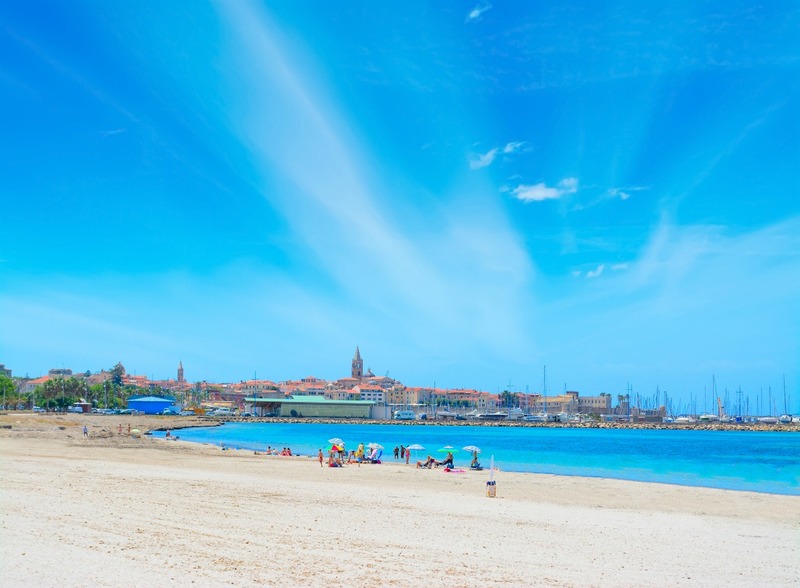 It is the city beach, near to the architectural, historic and cultural attractions of the town centre, perfect for tourists who want to relax: you can get to it by taking an easy and pleasant stroll along the Busquet promenade. In the Lido, you will find a beach establishment that offers comfort and services to bathers: you will be able to spend entire days on the beach with a sunbed and a beach umbrella. You can spend the night in hotels, which can be reached on foot and bars and restaurants for all tastes are at your disposal, as well as ample parking. The coastline has camping equipment for those who don't mind a less relaxing holiday in a campsite, suitable for families with children, who can also enjoy the water playground a few metres from the shore. The lido offers easy access for disabled people and its seabed is rich with underwater wonders, ideal for snorkelling. 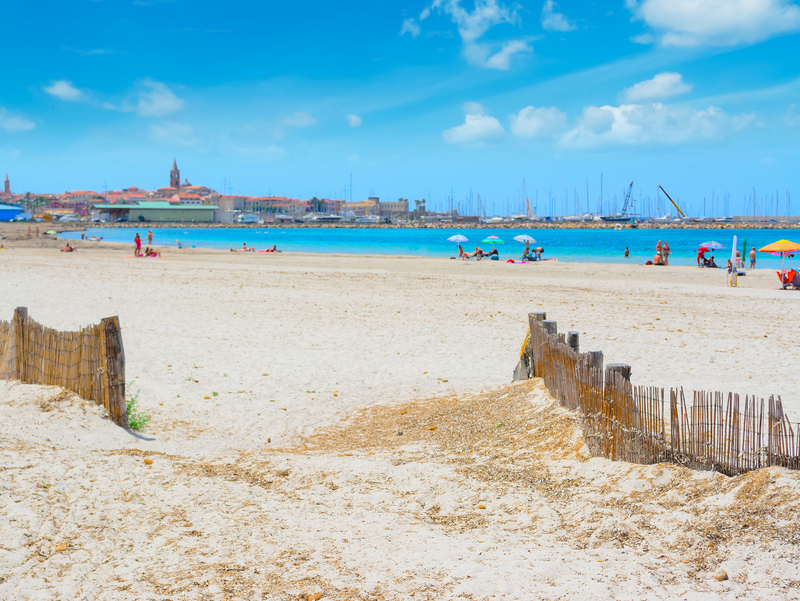 After relaxing on the beach, don't miss the opportunity to visit, just a short walk from the shoreline, the lanes and monuments in the old town centre and the bastions, towers and fortifications rebuilt in the 16th century by the Aragonese. During your holiday, enjoy the other places of beauty along approximately 90 kilometres of Alghero coastline: not far away, at the exit to the town, are the Maria Pia dunes, dotted with juniper bushes. Beyond the Fertilia district is the splendid beach of Bombarde and the delightful little coves of Lazzaretto. A few kilometres furtherto the north, you will find the Parco di Porto Conte, a park with a bay protecting the quiet beach of Mugoni, and the cliffs of the marine protected area of Capo Caccia. To the south of the town, along the road to Bosa, Cala Bona and the beaches of Speranza and Burantì are well worth a visit. 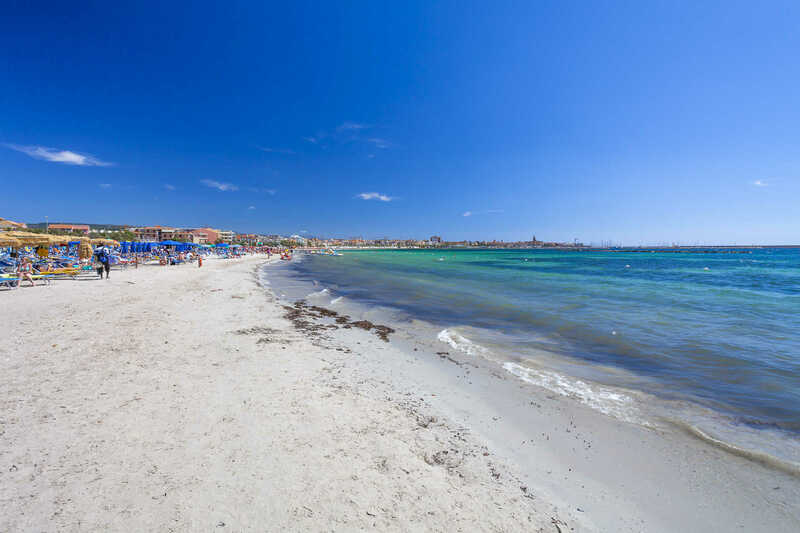 The Lido San Giovanni beach is in the municipality of Alghero, and is easily reached from the town centre. Simply follow the directions to the Lido, following the Busquet promenade: the bay stretches between via Garibaldi and via Lido, to the north of the town's historic centre.